Welcome, here at Warwickwire.com we believe in providing not only the best products but also the best support and service to you our customers. Our motto is your complete satisfaction. 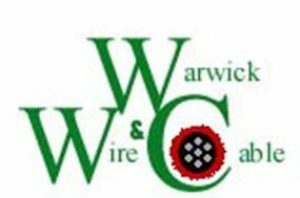 Warwick Wire and Cable was founded in 1987, specializing in providing hard to find wire and cable products, Mil spec connectors, specialty wire & cable, bulk wire & cable, communication wire & cable, lead wire, Hook-Up Wire, expandable sleeving, cable markers, commercial wire, and heat shrinkable tubing. Warwick Wire & Cable, Inc.